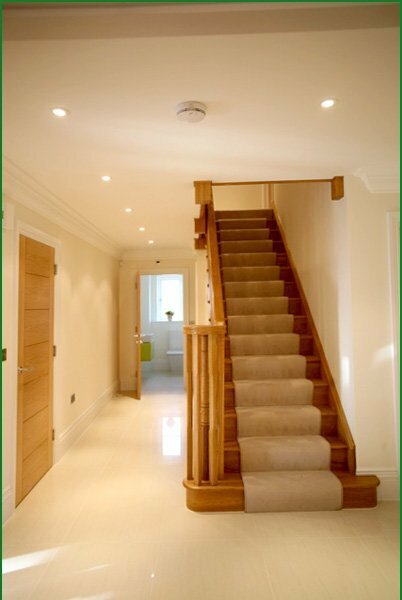 This very impressive cut-string American white oak staircase enhances the modern style of the property. 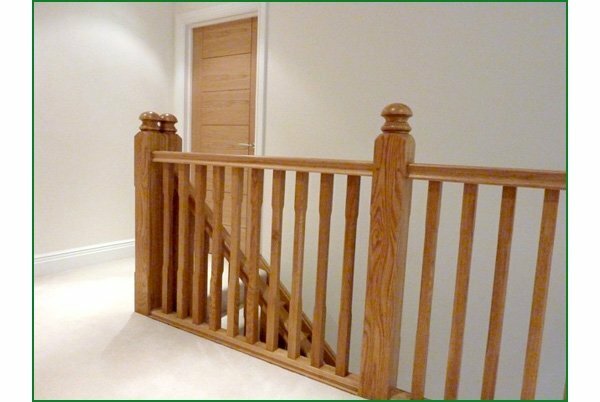 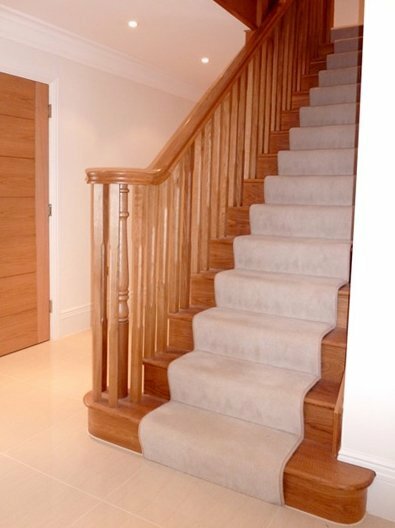 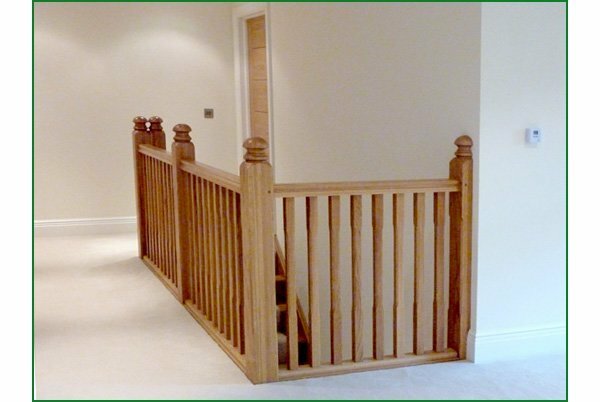 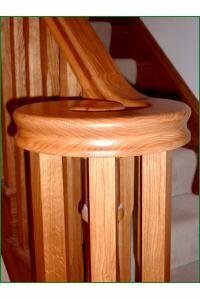 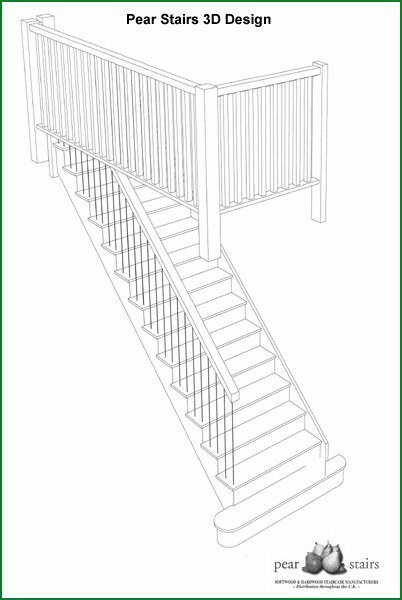 Using the 120mm range for stop-ovolo newel posts, mushroom caps and handrail and base rail, and incorporating 41mm stop-ovolo spindles from our Standard Range, has given a solid appearance, while maintaining the pure elegance of the design. I would just like to say how satisfied I am with the service given to my company by Pear Stairs. 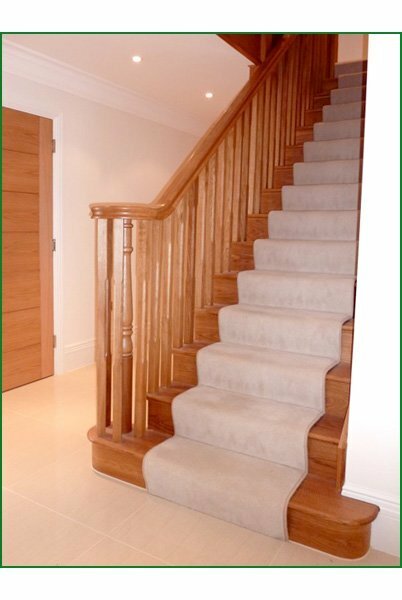 The quotes are turned around fast, the designs are easy to understand and the delivery time is better than I've had from other stair manufacturers. 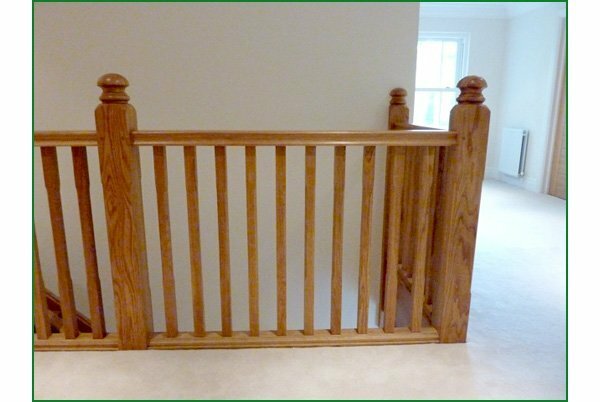 My carpenters on site say they go together easily and are machined to a very high standard.